This is an army I built about 5 or 6 years ago. 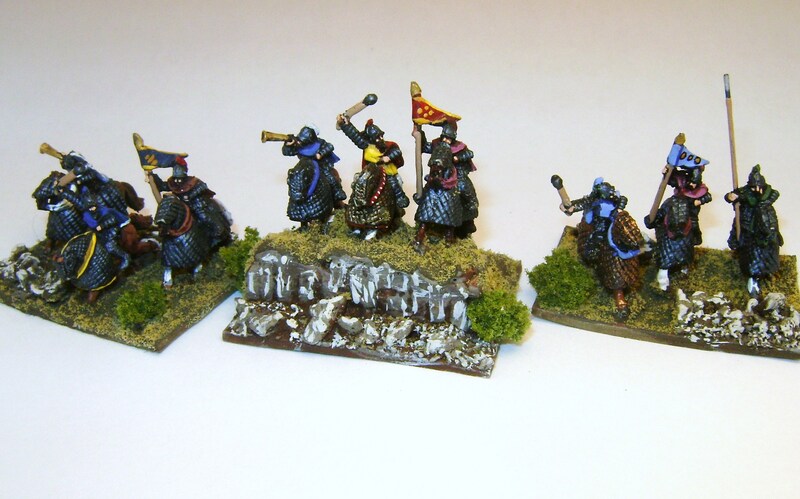 I originally used this army with the Warmaster Ancients rule set, which, at that time, was the ancient rule set of choice in the game club I belong to. Nothing ever lasts forever, especially among rule sets, and so WA eventually gave way to Field of Glory in the hearts of my fellow local gamers. Fortunately, I was able to get away with not rebasing the whole army, and most of them are on their original bases. 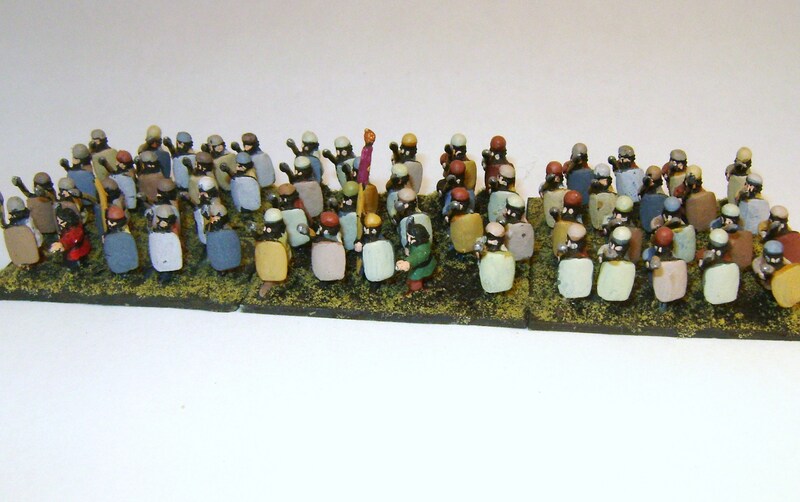 I think the only changes I made were to rebase the Cataphracts, as well as to change the officers from their traditional (for me) round bases to rectangular ones. 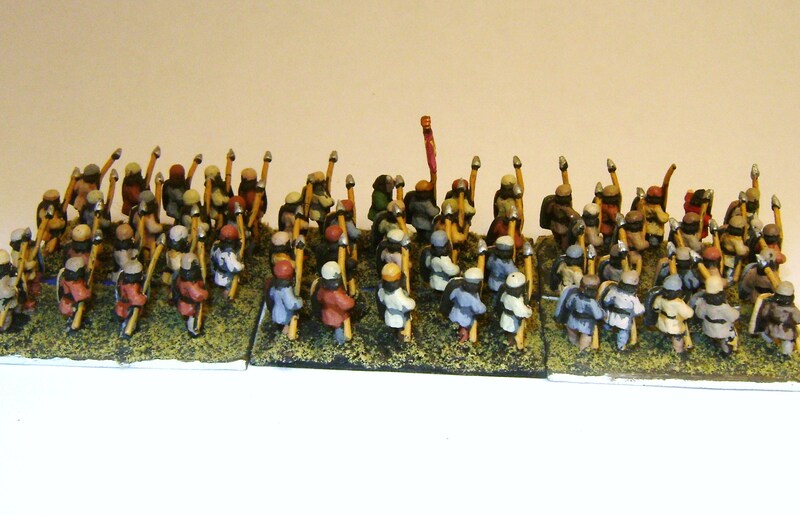 In some ways, the change of rules seemed to weaken the Parthians, and I had to work on developing new tactics. 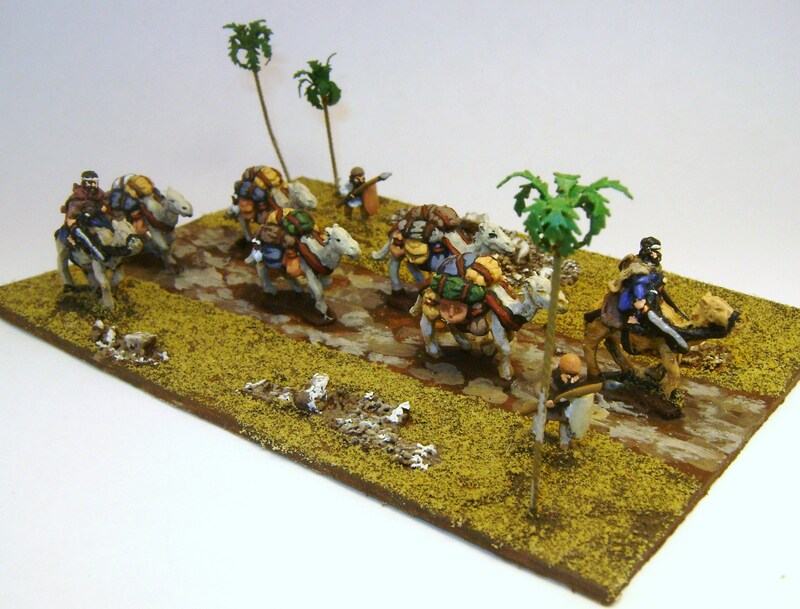 But it has a more realistic feel, and they are still a very fun army to play. 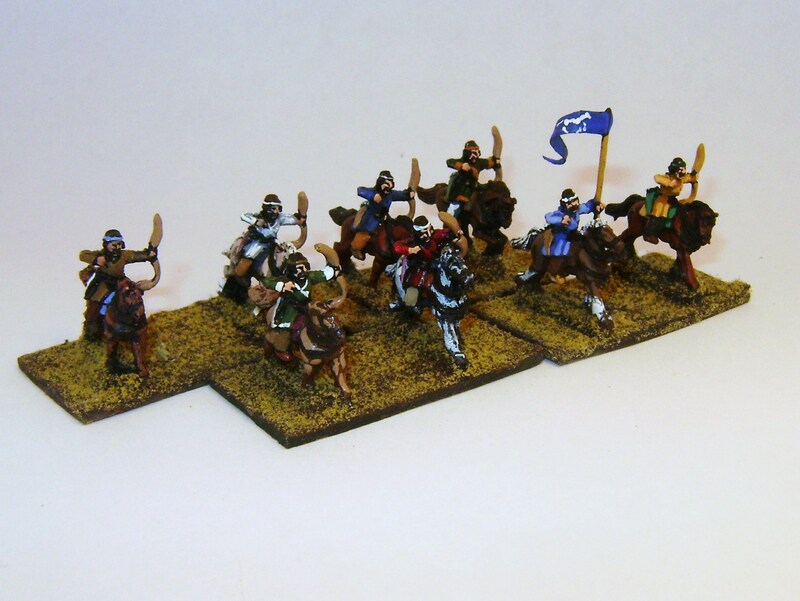 Next up is what makes up the bulk of the Parthian army, the horse archers. These troops vastly outnumber the other troop types and are responsible for most of the fighting. Under the FoG rules, these operate in a large number of small groups. I have found that it is best not to have these too close together in a line, but rather spread out with some gaps between groups. On the table, it looks like an almost formless cloud moving toward the enemy lines, close but never touching the enemy, and constantly trying to work it’s way around the flanks. The archery fire is not devastating, but rather you’ll get small hits here and there on the enemy. The name of the game for the Parthian general is patience, as you try to accumulate and develop these small pinpricks until they become serious weaknesses. Sometimes the enemy is tempted to charge one of your little units, but this is what you want. Your unit, the fastest in the game, simply evades away, and the other units nearby close around the enemy. They try to isolate it from the rest of it’s army and pour arrows into it as fast as possible. I have seen this result in units that were destroyed by archery alone. All these figures are Old Glory. I really like Old Glory’s 10mm range, but the single pose can be somewhat monotonous, so I sought to give the troops a little variety by making small changes to the pose and by using different colors. 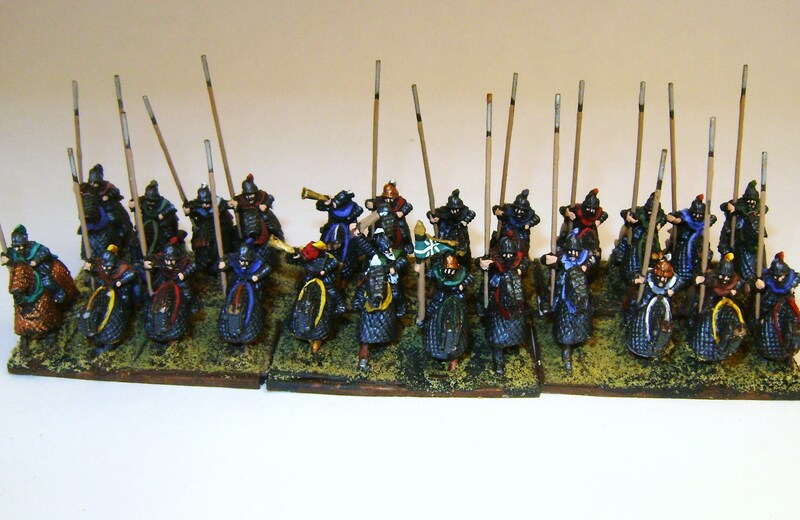 Last, but not least, are the levy spearmen. 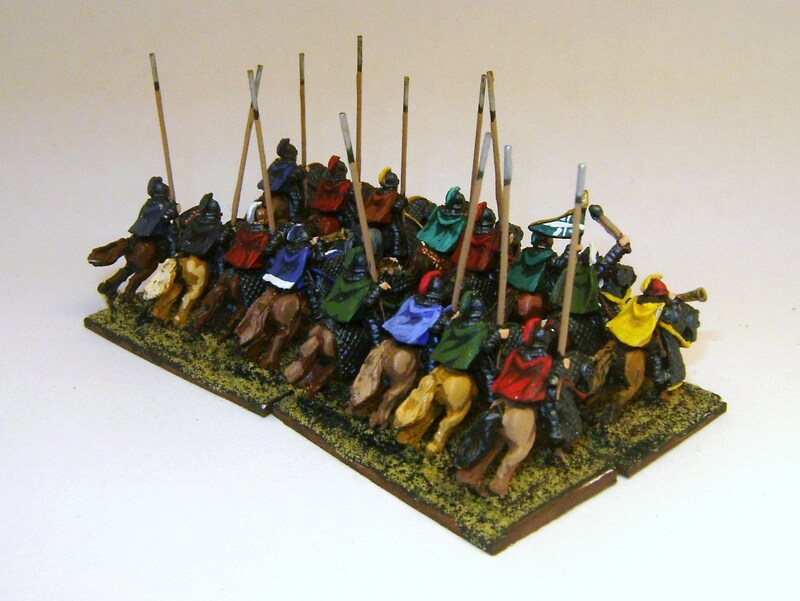 These guys are the low men on the Parthian totem pole, and truly are the poor bloody infantry. I prefer to go with an all-cavalry army and don’t use them much in the game, mostly when I’m trying to hold a piece of real estate. To tell you the truth, I kinda feel sorry for them on the battlefield. Figures are by Magister Militum.